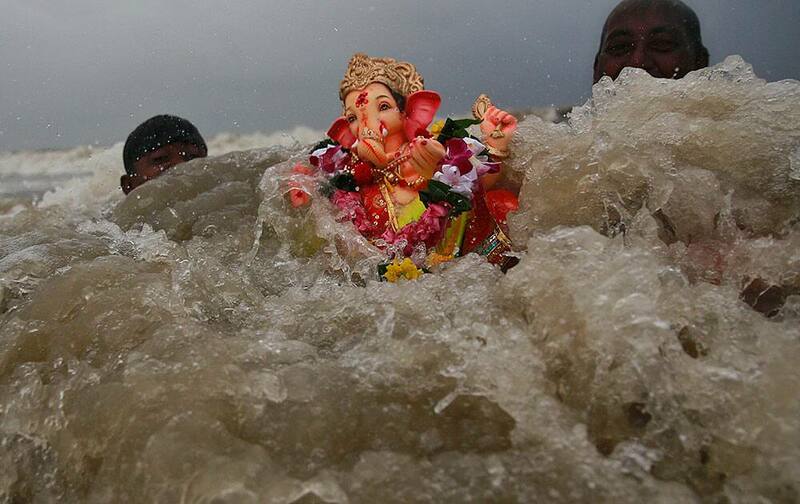 Satish Tomar (R) and Mani Ram, the two tunnel workers who were trapped for nine days inside an under-construction tunnel, wave at the crowd after being brought out by the NDRF team in Bilaspur. 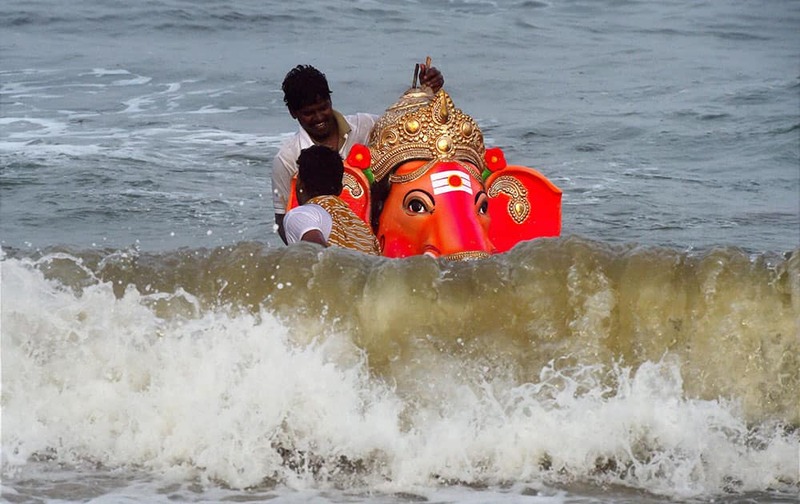 Devotees carry an idol of Hindu god Ganesha for immersing it in the Arabian Sea on the fifth day of the ten day long Ganesh Chaturthi festival in Mumbai. 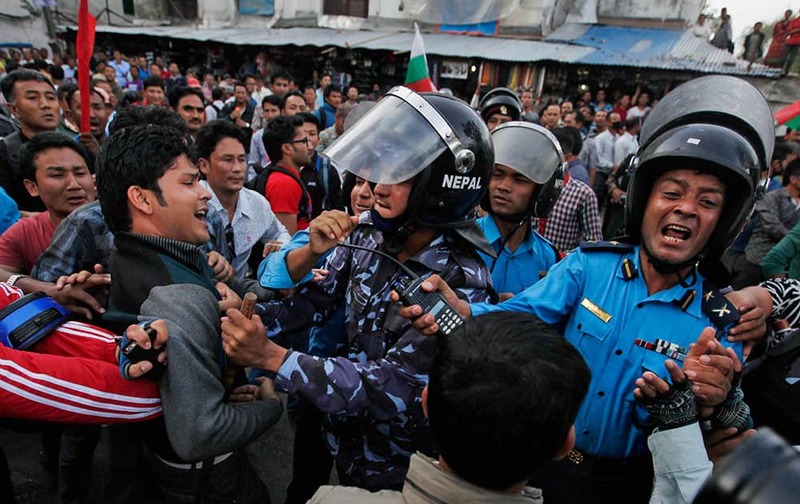 Nepalese protesters try to clash with policemen after burning a copy of the new constitution during the protest organized by splinter of the Maoist party, alliance of ethnic group and Madhesi party, in Kathmandu, Nepal. 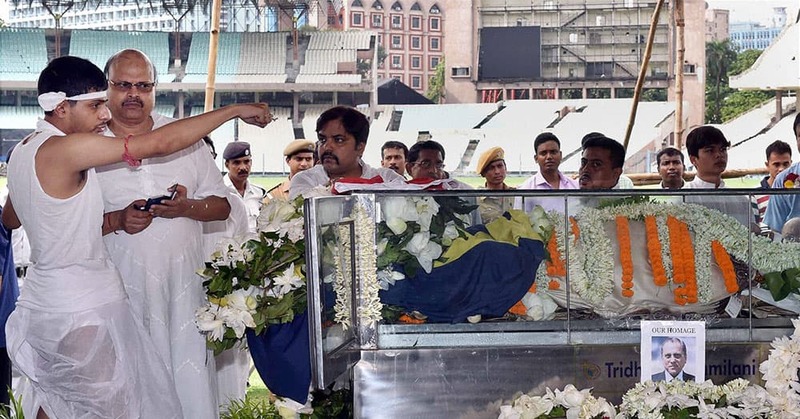 Son Abhishek Dalmiya near the mortal remains of his father Jagmohan Dalmiya in Kolkata. 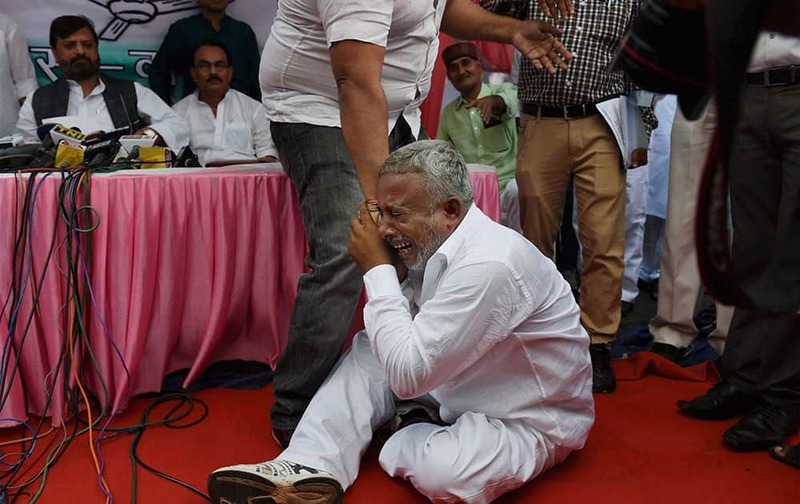 A ticket aspirant, Ashok Gupta is taken away after he tried to disrupt a press conference of RLSP chief Upendra Kushwaha in New Delhi. 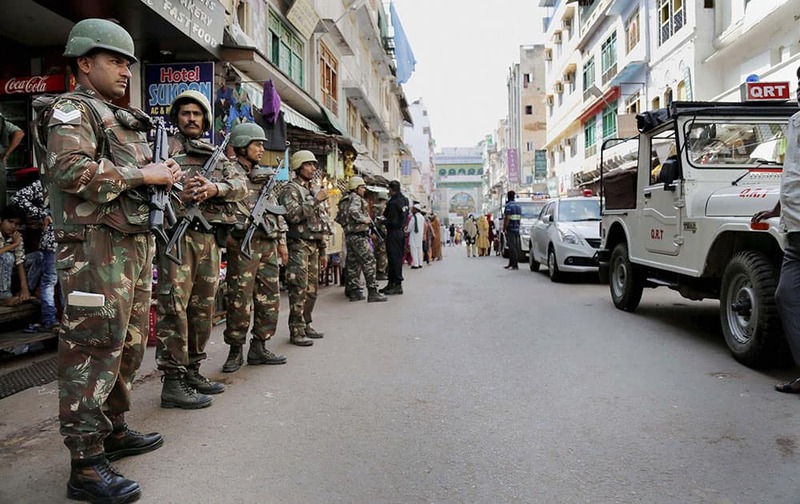 Security personnel on alert at Dargah Bazar after rumour of a bomb at the shrine of Khwaja Moinuddin Chishti in Ajmer. 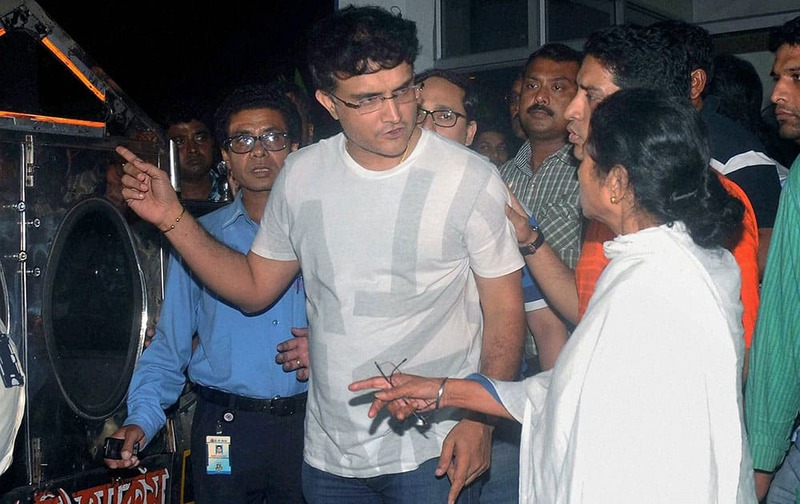 West Bengal Chief Minister Mamata Banerjee with former Indian cricket captain Sourav Ganguly at a private hospital where BCCI President Jagmohan Dalmiya passed away, in Kolkata. 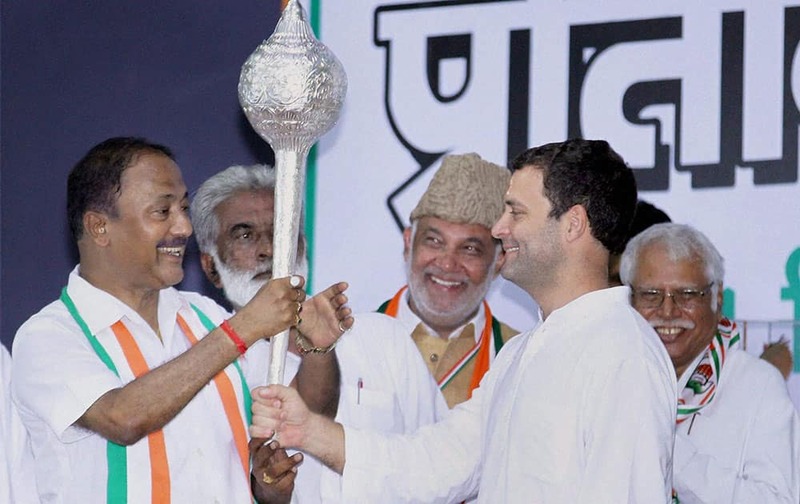 Congress Vice President Rahul Gandhi is presented a mace at the UPCC Pratinidhi Sammelan (Delegate Convention) in Mathura. 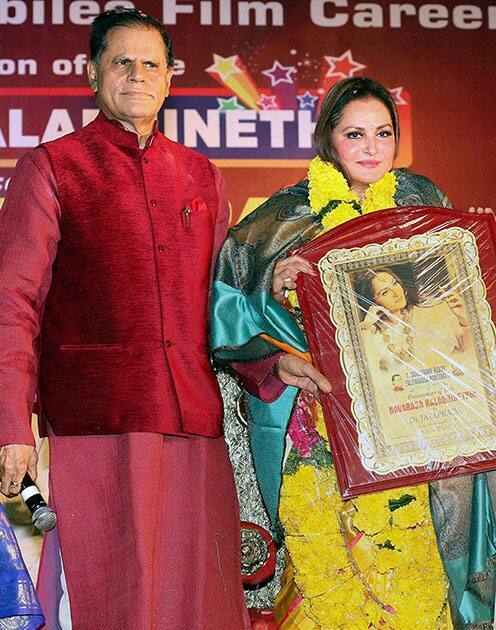 Jaya Prada being felicitated by T Subbarami Reddy of Lalithakala Parishath at Visakhapatnm in Andhra Pradesh. 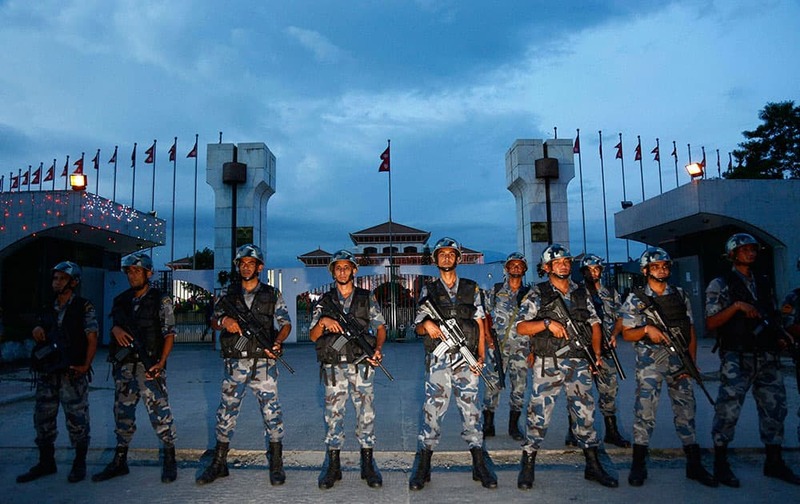 Nepalese policemen stand guard in front of the constituent assembly hall where a ceremony to adopt the countrys new constitution in in progress in Kathmandu, Nepal. Nepalese President Ram Baran Yadav signed the constitution and made the proclamation announcement, setting off a roar of applause from members of the Constituent Assembly in Kathmandu. 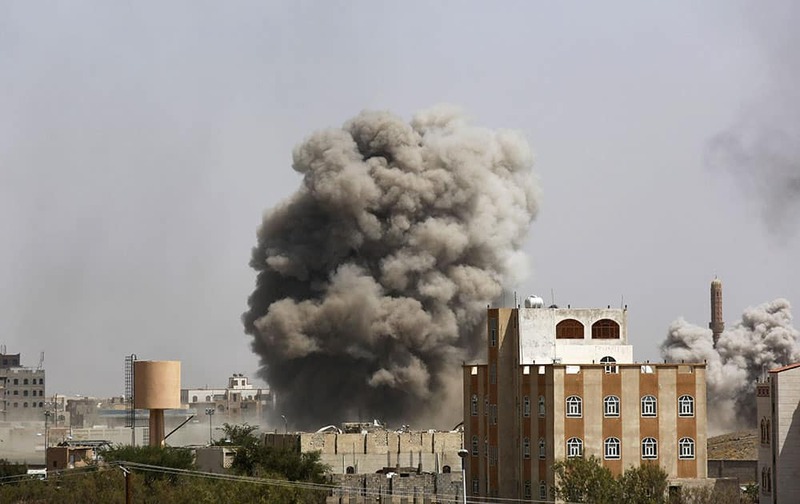 Smoke rises after a Saudi-led airstrike hits an army academy in Sanaa, Yemen. 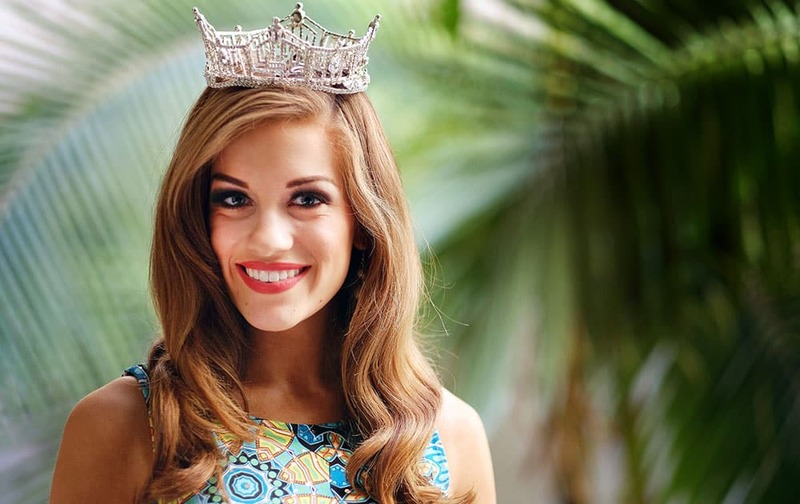 newly-crowned Miss America 2016, Betty Cantrell poses for a portrait in Los Angeles. Tennis player Sania Mirza during an event where she was confered with a honorary membership of Cricket Club of India by K Nicholson, President of CCI in Mumbai. 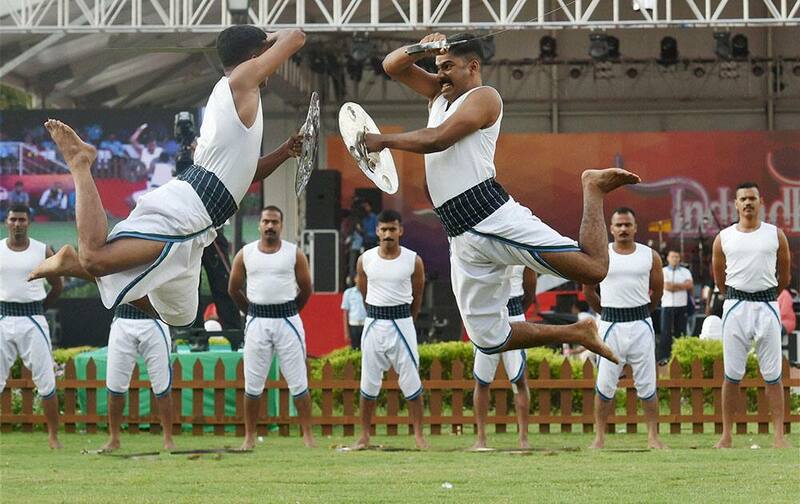 Army Jawan displaying traditional marshal during a function organised as a part of Golden Jubilee celebrations of 1965 War in New Delhi. 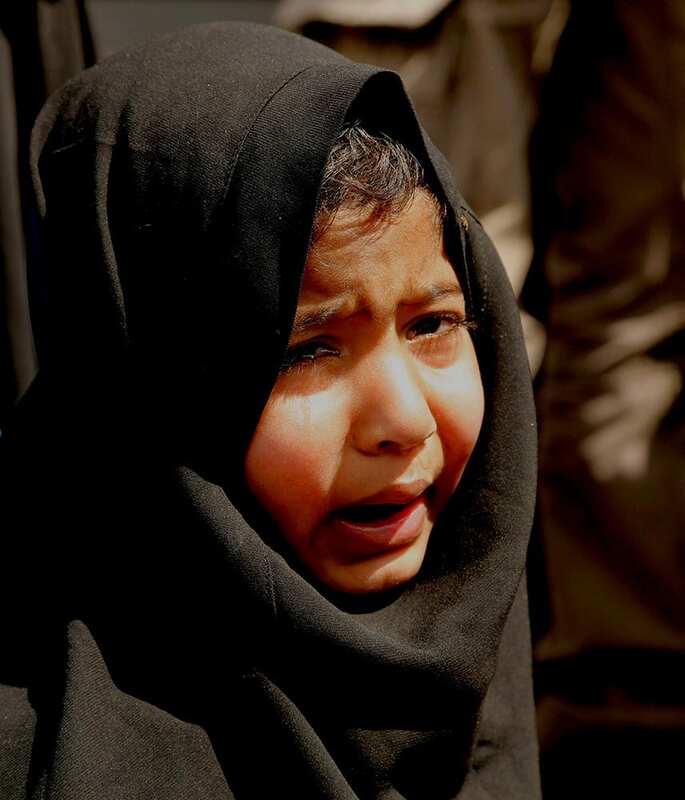 A Kashmiri girl cries during a protest against the killing of a 3-year-old boy, in Srinagar, India. 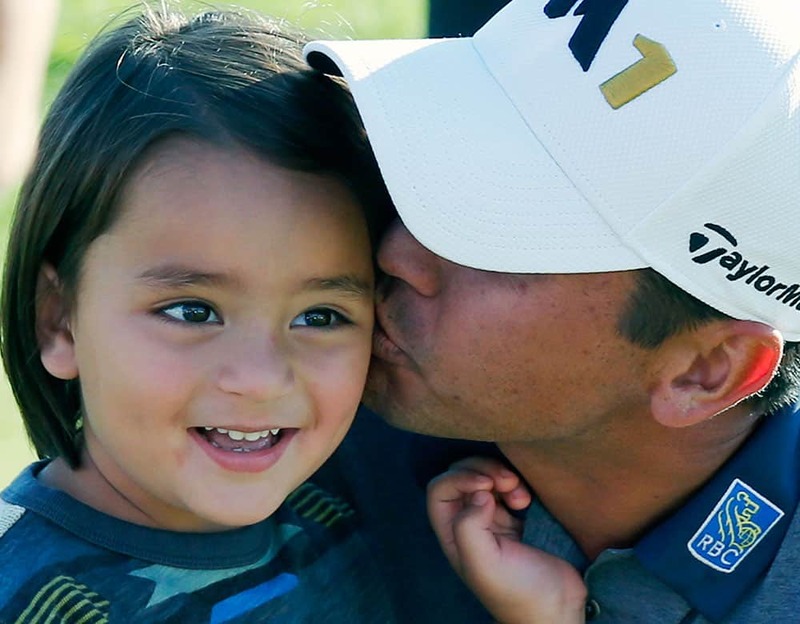 Jason Day of Australia, kisses his son Dash, after winning the BMW Championship golf tournament at Conway Farms Golf Club in Lake Forest, Ill.
Devotees immersing an idol of Lord Ganesha in the sea, after the Vinayaka Chaturthi festival in Chennai. **COMBO** The 15 member Indian Squad-- (from left to right in top row)- Mahendra Singh Dhoni (Captain), Virat Kohli, Shikhar Dhawan, Suresh Raina and Rohit Sharma, Mohit Sharma, Ajinkya Rahane, Ambati Rayudu, R Ashwin and Akshar Patel; Amit Mishra, Gurkeerat Singh, Stuart Binny, Umesh Yadav and Bhuvneshwar Kumar announced for the ODI matches forthe forthcoming South Arica tour in India. 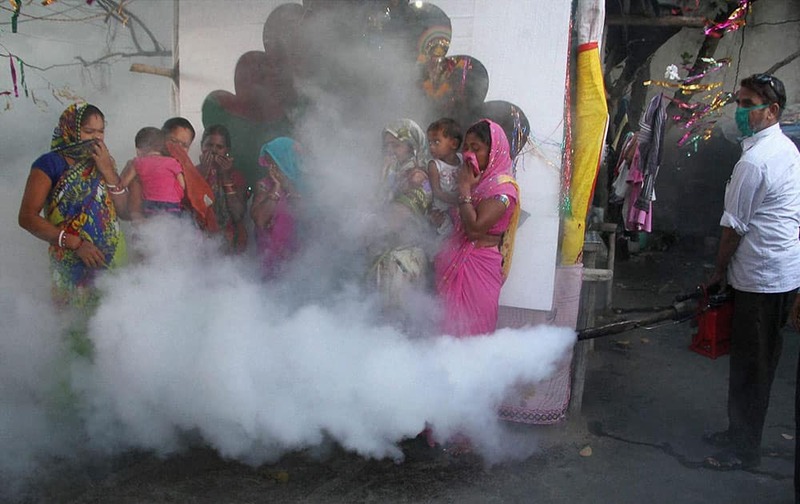 Jammu and Kashmir municipal corporation workers sprays DDT in a residential area to prevent the spread of dengue and other mosquito-borne diseases in Jammu.